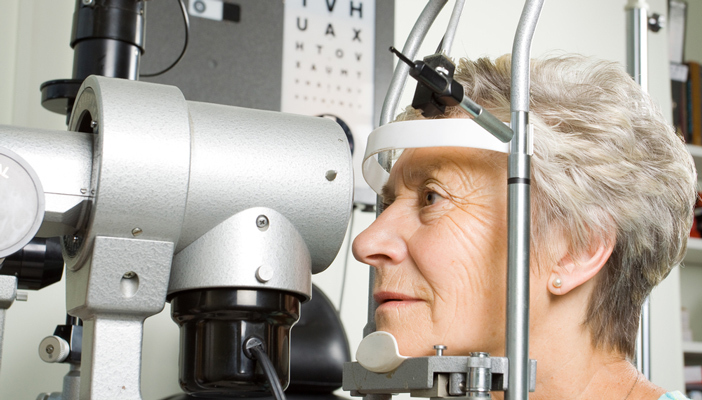 Researchers believe a routine eye test could spot the early warning signs of Alzheimer’s. Research presented at the Alzheimer’s Association International Conference (AAIC) 2016 in Toronto last week showed significant evidence between eye tests and early signs of dementia. Moorfields Eye Hospital and the UCL Institute of Ophthalmology have discovered a link between retinal nerve thickness and poor cognitive skills. In Moorfields’ study, over 33,000 participants took part in memory tests with those scoring poorly showing a significantly thinner retinal nerve fibre layer (RNFL). The RNFL is formed by the expansion of the fibers of the optic nerve, which transmits visual information from the retina to the brain. Thickness of the RNFL is known to decrease with age. Individuals completed a series of tests for memory, reaction time and reasoning. The results were compared to measurements taken using optical coherence tomography scans (OCT) which records the thickness of the RNFL. The researchers found a significant association between a thinning of the RNFL and poor cognition skills. The RNFL was thinner among participants who had an abnormal result to one of the cognitive tests. The RNFL also appeared one-micrometre thinner for each additional cognitive test failed. Moorfields suggest the latest findings could lead to people being screened for dementia - and even be used as part of an individual's regular eye check-up. Dr Clare Walton, Research manager at the Alzheimer’s Society, said: “Changes in the brain associated with dementia can begin several years before any memory symptoms appear. This research suggests that some of these changes happen in the retina of the eye too, which could give us a relatively easy, non-invasive way to spot them early. Another eye test presented at the conference was about amyloid protein which builds up in the brains of people with Alzeimer’s disease. It is also known to accumulate in the retina and has been previously investigated as a potential marker for the condition. A second study led by Melanie Campbell, Ph.D., and colleagues from the University of Waterloo, Ontario, Canada, presented their results at AAIC 2016 comparing different methods for visualising amyloid protein deposits in dissected eyes as well as in dogs that had symptoms of Alzheimer’s disease. One of the imaging techniques tested – polarization imaging – was shown to be a non-invasive and sensitive way to identify amyloid deposits in the retina. Read information published on Moorfields' website. Find out more about living with sight loss and dementia.